The Sharks are circling!....by I'm Spartacus. I recall to this day the last words the chief examiner said to us all as we got our shiny new badges at Penton street all those years ago. 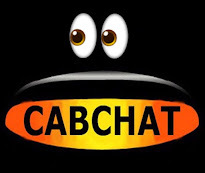 'Many people get a very good living out of the cab trade' our faces lit up after years of slog on the KOL, he continued after a pause, 'none of them are cab drivers'. His words are as true today as ever, we now have the Credit Card fiasco, another good idea totally ballsed up by TfL and the trade incompetents who have agreed to having fixed terminals for no good reason as millions of traders from car booters to Michelin starred restaurants seem to get by with mobile terminals. The bogus argument about security is probably more about who advertises in what trade paper, after all we could pass forged notes all day long, we don't because we are mostly honest and/or we don't fancy a spell in the scrubs! We also have TfL not mandating a maximum percentage charged to the driver staying that it's a commercial matter between us and the provider, all this noted through without a murmur from the TfL board and we all know the membership there. So many are still paying 10% plus monthly rental for a unit that's well past it, my local shop pays 1.5%!!!!! So again we have trade orgs agreeing to things without consultation and effectively creating an 'uncommercial' market to the disbenefit of the people who pay their wages, luxury company vehicles etc. I wonder what percentage the suppliers of these fixed units pay on their own transactions? If it's more than 3% I would be amazed. An award-winning taxi driver was left shaken after he was attacked by three thugs armed with a hammer and blade near his Dublin home. 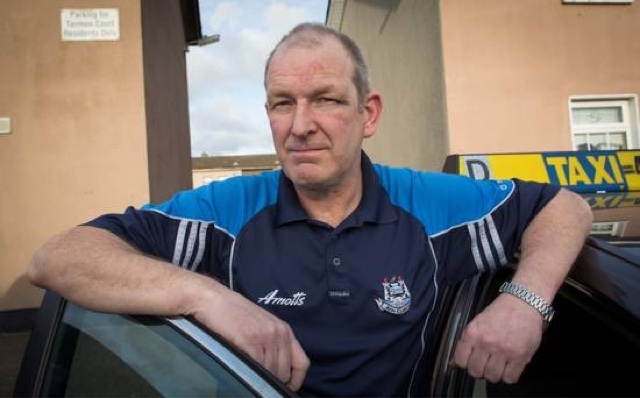 Paul Cullen (52) was working in north Dublin when he stopped to pick up a fare in Finglas. After a short journey to the Poppintree area one of the men produced a blade and demanded that he hand over money. Brave Paul - who had a little over €100 cash on him at the time - refused to give them anything. He struggled with one of the men as the thug slashed the back of his head and another hit him around the head with what he suspects was a hammer. The attack happened shortly after 8.30pm on Thursday. Just two hours earlier a taxi man in his 60s was also robbed by three men. A sum of money was taken and the driver was also injured in the incident. Paul, who has worked as a cabbie for 10 years, said it was the first time he had been assaulted while on the job. Last year, he was nominated by his customers for the 98fm Pride of Dublin awards and walked away with the title of Best Taxi Driver. He has now been left with bruising to his face and cuts on the back of his head. 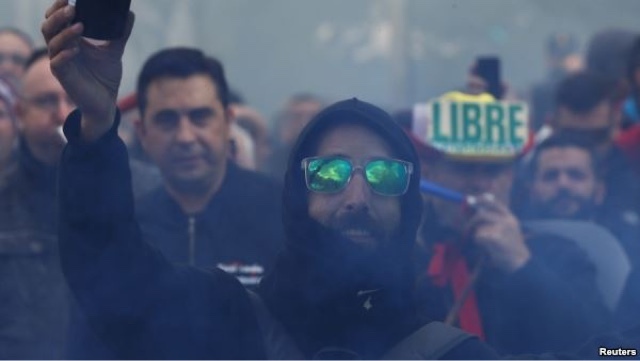 Last night, he returned to work despite the attack. "I'll be nervous for a few weeks, but if I don't go straight back I never will," the dad-of-three said. "I'm shook enough, but it could have been a lot worse." "It's the only area of Ballymun that has no CCTV." The thugs sustained the attack for a short time before they left with just Mr Cullen's smart phone, which he later traced to a bin in a nearby estate. 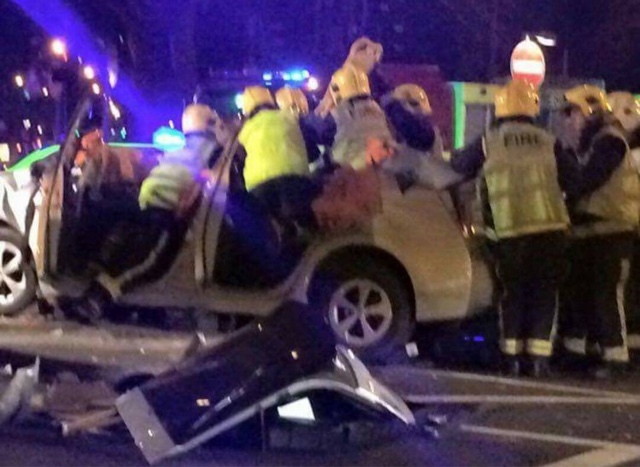 A garda spokeswoman confirmed that gardai were investigating two robberies of taxi drivers in the Ballymun area. Tariff Update...As Clear As Mud. Credit Card Surcharge Change? Driver to pay Credit Card surcharge from April??? I spoke to LTDA Chairman Steve McNamara on Wednesday and in that conversation he informed me (in his opinion) the argument over surcharges is irrelevant as rules governing CC transactions including surcharges, may well be change in 2017 due to an EU directive. The information is actually contained in the results from TfL's consultation on Credit Card Payments. The current surcharge of up to 10 per cent is generally felt to be too high, but the Consumer Rights (Payment Surcharges) Regulations 2012 already bans excessive surcharges and traders, including taxi drivers, may not charge more than it costs them to accept card payments. This is pretty clear so far and quite understandable. It is also expected that future legislation (Following adoption by the European Parliament of the Revised Directive on Payment Services), will remove most card payment surcharges when it comes into effect which is expected to be by end of 2017. The statement is unspecific as to which "most card payments" are referred to. Also, this may not happen,because by 2017, we may no longer be part of the EU. So why are TfL pushing for something so strong, that may never happen? Until this actually happens, why should we even consider passing CC payment surcharges over to the driver? How would this 2017 European consumer rights regulation affect us here in the UK? This will mean retailers will not be able to charge cc customers the surcharge or service charge. This will include paying bills, booking theatre tickets, shop purchases and the like of us. But most retailers will build this into the retail price of the goods being sold. TfL have offered us a 20p extra to the initial meter drop, but that was based on a CC surcharge capped at 3%. Now we are told that the Card clearing companies have turned this down and TfL are going to let market forces set the rate. Why is there such a lack of information from our orgs about what is coming in April, in regards to CC surcharge payments? Is this another example from TfL's spin doctors of while we are tearing into each other over this, something else more controversial is about to slip under the radar. Perhaps TfL feel that if we are arguing about something that's possibly inevitable, we won't be resisting the unenforceable CC mandate -about to be tested in court I hear- or the unnecessary fitting of equipment in the rear. The way TfL have tried to bulldoze this through based on their consultation is nothing short of scandalous. This whole issue has been a complete mess from start to now and has been handled dreadfully by the Orgs/Unions, suppliers and TfL. Too many vested interests looking at grabbing larger market share, stirring the already muddy waters. The TfL consultation result recommendations should be based on majority of opinions from those who responded. It's clear that this is not the case. It's alleged TfL are trying to manipulate the conclusions by making the results unclear. Taxi Leaks Statement On Post Comments. 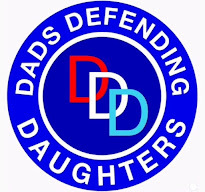 It is with much regret that we've had to stop accepting anonymous comments, as It's getting too much work to moderate the good from the bad, the libellous from the personal attacks. We were having to deal with over 150 comments daily, which come in the form of an email, which then have to be read and a decision made whether to post or delete. End result, just a handful of reasonable comments actually make it onto the blog. It's become too time consuming. Over the past 10 years, we've run into quite a few drivers who seem to believe totally that even though we are just a Taxi news service, all comments carry our complete blessing. We've always tried to be fair and give everyone a voice. We've tried hard to be fair to everyone but we get criticised when we post, we get criticised when we don't. Fair enough, when you stick your head up, I suppose you have to be prepared to dodge a few bullets. But recently it appears certain drivers have gone way too far over the line. We hope our new system will stop most of the abuse, as commentators will have to have a registered Google account, which means accountability. For those who have difficulty opening a Google account, you can still send comments in by email to Taxileaks@mail.com which we will endeavour to post manually on your behalf. We are told that there are 5,000 terrorists heading into the United Kingdom, or certainly to Europe and then, no doubt, on to us. Are our former partners in Europe not going to tell us? Are they going to sit there mute while London is blown apart, or Glasgow, Manchester or Birmingham? Those are, so the Europhiles say, our allies. They are friends; they are decent people. We do not dislike them. We love the Europeans. I am British and a European, and I am extremely proud of it. I want to be in Europe and to trade with Europe. I want to enjoy their culture, their languages, their mountains, their seas, their more efficient trains, their wider and faster roads and their beautiful wine; I want to enjoy it all, as we all do. But, like millions of people in this country, I do not want to be ruled by unelected bureaucrats. I sit on the European Scrutiny Committee, which is a great privilege, under the most able chairmanship of my hon. Friend Sir William Cash. He might like to hear about the conversation I had with my taxi driver last night as I was heading home—I always talk with the drivers, because they are always fascinating men and women. He said, “Guv, do you know William Cash?” I explained that I did and that he is a great friend of mine. He said, “He sat in my cab 25 years ago and said the same thing.” That story is absolutely true. My hon. Friend, who is far-sighted, was right then, and he is right now. Let us get our freedom back on 23 June. 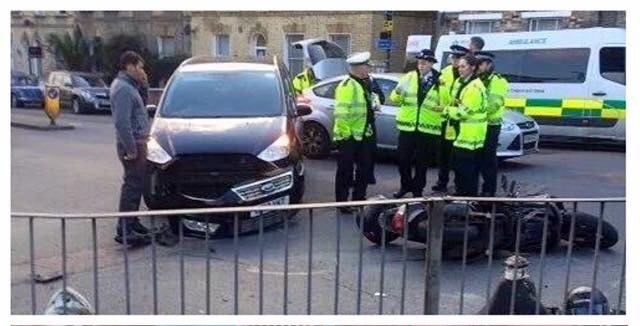 An All Too Common Sight : Even Police Aren't Safe From Uber's SatNav Jockeys. Fireman cutting the driver out of the Prius after he'd hit the traffic lights. I had put a caveat on posting photographs of Uber drivers / vehicles involved in accidents. In fact, when I'd reached over 1000 in less than a year, they became merely a repeat of a theme. I still witness accidents daily, but they have become so pedestrian that I don't even mention them. Yesterday was an exception. In the space of just 6 hours there were 3 collisions involving motorcycles, one of them being an unsuspecting traffic policeman. Iconic Taxi Maker Geely, To Enter The Ride On Demand Market In Competition To Uber. London Taxi maker Geely, has decided they won't be pledging financial assistance, in the London Taxi trades fight. This move has upset many cabbies and there is a call on social media for a boycott on new Taxis. 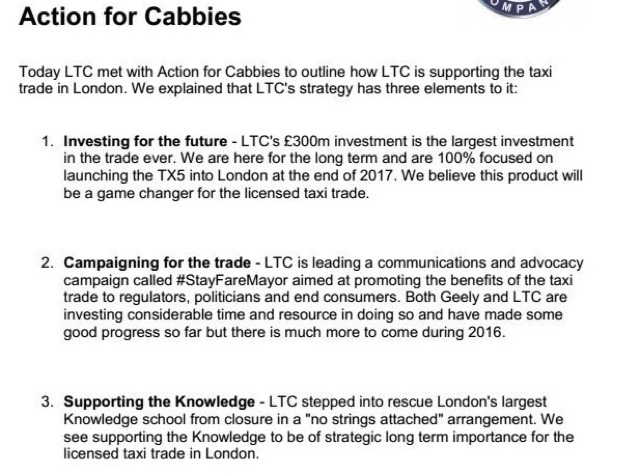 You may be wondering why Geely, the maker of London's iconic Taxi Cabs, have decided to pass on the opertunity of making a pledge to the Actiob for Cabbies fund to take TfL to court?? You may also be wondering why this company has invested heavily in a plant capable of producing 30,000 vehicles a year, after falling sales. The Hangzhou-based company, which owns formerly Swedish carmaker Volvo, has set up a new firm to develop further the ride-hailing app they have currently on trial in the eastern Chinese city of Ningbo. The trial will soon expand to include Shanghai, Hangzhou and Kunming. Unlike competitors Uber (which use private cars) Geely is planning a fleet of its own vehicles. There are everal similar companies building their own fleets to circumnavigate regulatory uncertainties in the use of private cars. Geely appears to be aiming at the high-end of the smartphone on-demand market in first and second tier cities, seeing the service as a channel for potential consumers to get to know its new range of vehicles. The company is the country's eighth largest domestic carmaker in terms of sales last year, according to China Association of Automobile Manufacturers. They also plan to increase their current car fleet, consisting only of Geely sedans and Volvos, to 150,000 vehicles, nearly one third of its annual production. 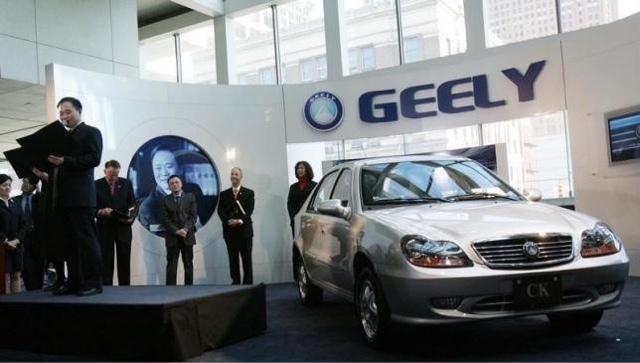 Geely also produces an electric vehicle and currently their fleet has 20,000 of this type of vehicle. Could Geely be looking to produce their electric PH vehicles at its Coventry plant, looking towards the massive 98,000 Private hire market in London? 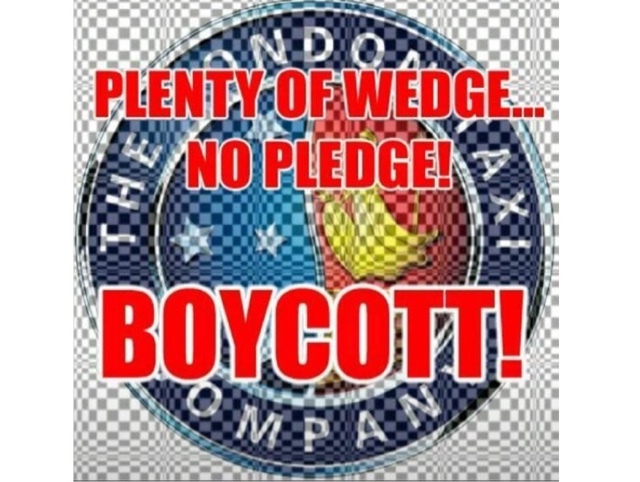 Drivers on social media are currently changing their avatar to the campaign to boycott the London Taxi Company below. Today at Philadelphia International Airport we tried to convey the message to the Lyft and UberX drivers, that it's a crime to solicitate people at airport. I hope soon Philadelphia Police Airport Unit will get trained to stop this type of solicitation and we can go back to peacefully earning an honest living. We caught a few drivers today openly soliciting passengers. They tried to tell us that as far as they knew, they weren't doing anything wrong as their respective companies haven't given them notice to stop this practise. Uber Philly and Lyft, you are endangering the public safety by putting them in unregulated cars. You are teaching your drivers to steal. Where is the media PhillyVoiceNBC10, PhiladelphiaFOX 296, ABC philly.com, to show the world that these Uber and Lyft drivers are breaking the law. Should Taxis and Private Hire Be Separated Into Two Departments. AskPOB is conducting an independent survey to establish driver opinion on whether the Taxi Private Hire (TPH) department within Transport for London (TfL) should be separated into two departments. 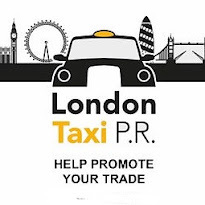 AskPOB is an impartial third party, working in collaboration with trade organisations and groups to understand how drivers would like licensed London taxi drivers represented within TfL. 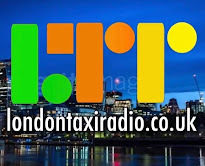 Do you support the separation of the current Taxi and Private Hire department into two new departments? 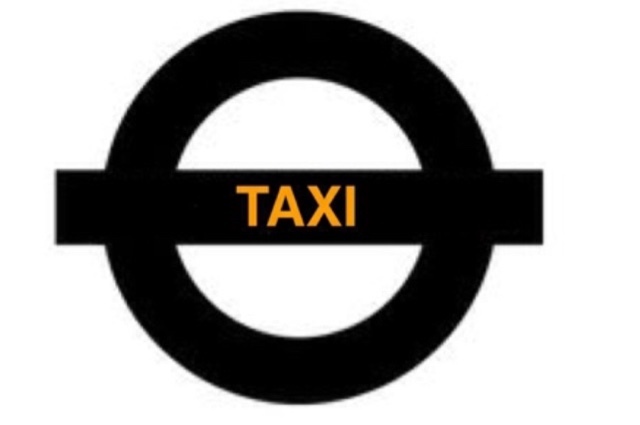 Would you support a separate Taxi TfL roundal like the above? 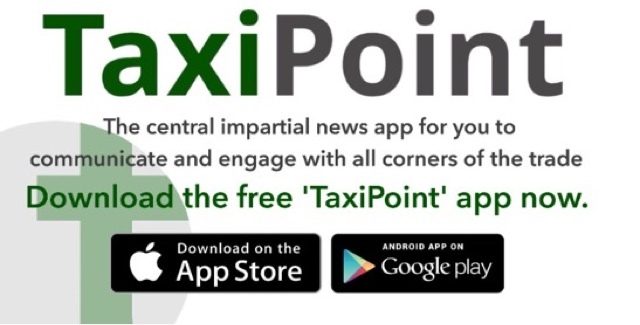 TaxiPoint is a new FREE Taxi trade news app. Get articles and announcements from all organisations, drivers and associates will appear directly on your phone. You won't miss a thing as notifications will flash up when new material has been added. You'll be able to comment on all the articles posted, simply by logging in using your Twitter or Facebook accounts. A trade forum has also been provided to establish an open trade community. 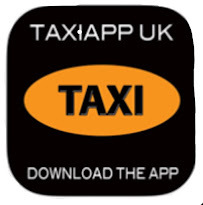 You can download the app exclusively by clicking on the Taxi Point image in the right hand column. If you have any questions or wish to get involved in AskPOB TaxiPoint, please do not hesitate replying by email to AskPOB@gmail.com. The STaN agenda gave London the concept of licence variation 'Satellite office'. Along with this, came a cloak of respectability thrown over the clipboard Johnny and the illegal ranks of touting minicabs. It didn't take long before the rule book went out the window and open touting became the norm at most night venues. Licenses were sold off like sweets to anyone with the necessary fist full of dollars. Licensed by TfL, the general public believed the lines of cars outside clubs and bars were legitimate, after all, even the press were referring to them as Taxis...so they must be legal. The legitimate licensed Taxi trade started to see a massive decline in night work. The Met officer in charge of the TOCU squad Joe Royal, took one look at the legislation and said this is completely unenforceable and promptly resigned. Not long after Joe's departure, the TOCU squad were disbanded. Most night men carried on regardless, driving round with their head in the sand, hoping for the odd raised hand. 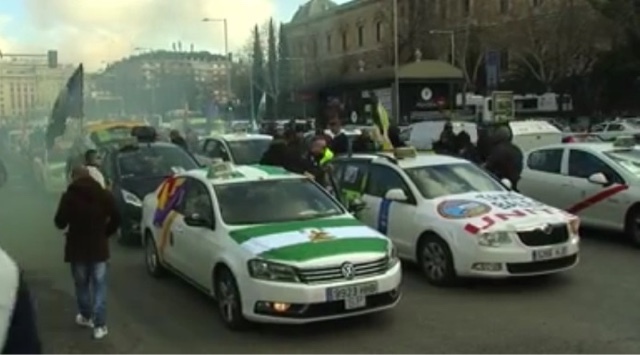 A couple of dozen militant drivers stepped forward shouting, "Enough's Enough" and took on the touts at their own game, by ranking in front of, or beside the cars... and work was eventually clawed back. It wasn't hard at first as night passengers had become fed up with being ripped off by exorbitant prices, charge by the touts. The subject of touting became elevated in the trade media. We just turned up and formed ranks....we were taking the work back, it was easy! Last January, the work dried up as a result of 700 new PH licenses being issued every week. But, ever resourceful, drivers stepped up to the mark and the Mayfair Mobs was born. This new group had amazing success reclaiming ranks and getting new ones implemented. The trade seemed to be struggling like never before, drivers drastically changed their modus operandi, ranking becoming their new cornerstone .... it was still easy, but getting harder. Towards the end of the year, easy stopped....Work levels were down to an all time low. It's sole destroying sitting on a rank outside a restaurant to see customers exit, phone in hand, waiting in the wind and rain for a car to pull up. These people, having spent a small fortune on dinner, were now deserting the trade big time, looking to save £5 off a ride home. Surge pricing, accounts hacked, ridiculously round about routs, an increase in sexual attack on females and now mass murder by Uber's drivers are not impacting on their business model. 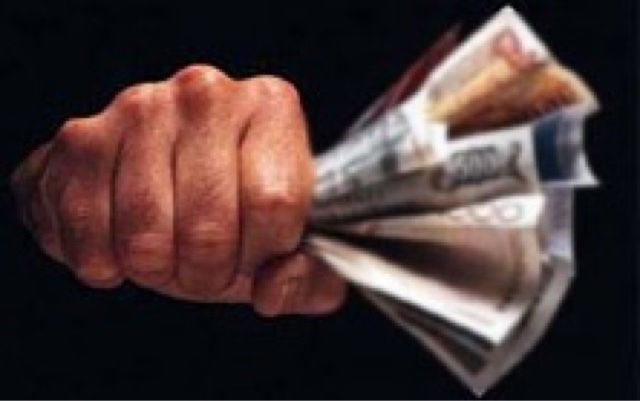 Our trade has been seriously damaged to a point where carrying on regardless, is no longer an option. 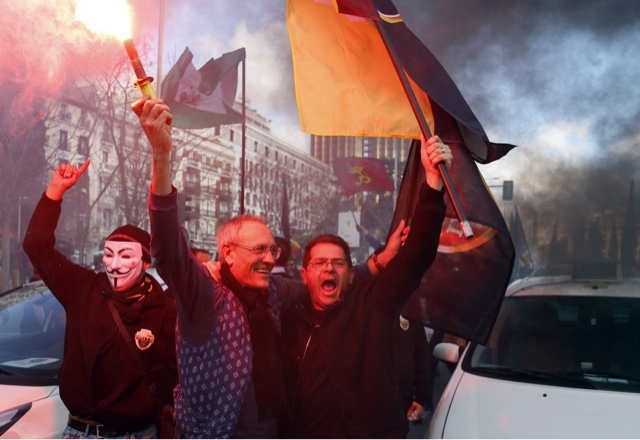 As long ago as 2013, Taxi Leaks warned "Men are coming to kill us". In 2015 we shouted from the rooftops, "Men are here killing us". Now in the last chance saloon, we only have one final option before we are killed off completely...but so far, only 2,710 have pledged and put their money were their mouths are. Unless this trade takes TfL to court, we will soon be an ex-trade like the miners, the printers, the steel workers the dockers. Killed off by complacency and apathy. The solution has been handed to you on a plate. And again, it's not hard...ITS EASY. THATS BEING DONE FOR YOU. All you need to do is put your hand in your pocket and come up with £25 a head. But time is running out fast. The Government, TfL and Uber are laughing at us. They believe we are too stupid to save our future, they truely believe the campaign is doomed to failure and they're laughing. Let's wipe the smug smiles off their faces. We are two thirds of the way through time allotted and have only raised one third of what's needed. No more thinking about this, it's time to act. 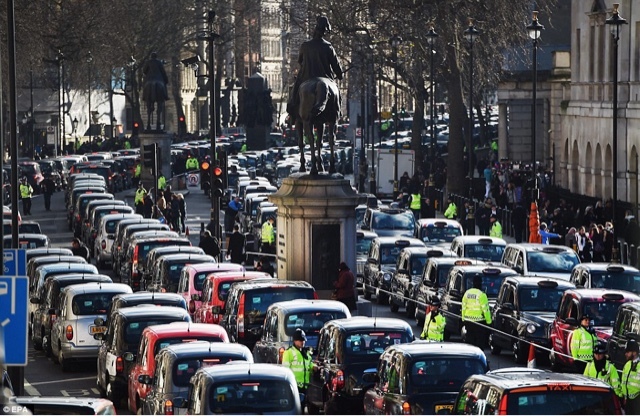 10,000 Taxis in Whitehall had no impact, no media coverage. This Wednesday, instead of giving up your afternoon work, 10,000 Taxis should donate £40 each....result = TfL in court. Our future, our livelihood is solely in our hands and we no longer have the luxury of time. Pledge your support now, don't put it off any longer and let's get TfL in court to answer for what they've done to our trade, our livelihood. DO IT NOW...IT ONLY TAKES TWO MINUTES. Hasbro is to released a new edition of Monopoly called Ultimate Banking, that should help keep familial infighting to a minimum. Instead of paper money, which can easily be laundered or stolen when you aren't looking, this new edition uses debit cards. It also does away with the easily-corrupted Banker position, replacing the human with an electronic card reader (aka an ATM). Both the players' debit cards and the property cards themselves will be machine readable. So, when purchasing property, players will first scan the property's bar code and then their own cash card. If they have enough money for the transaction, the funds will automatically be deducted from their account. Funds can also be transferred between players, if necessary. Removing the human influence should certainly help keep the financial shenanigans to a minimum -- just hold on to those debit cards. 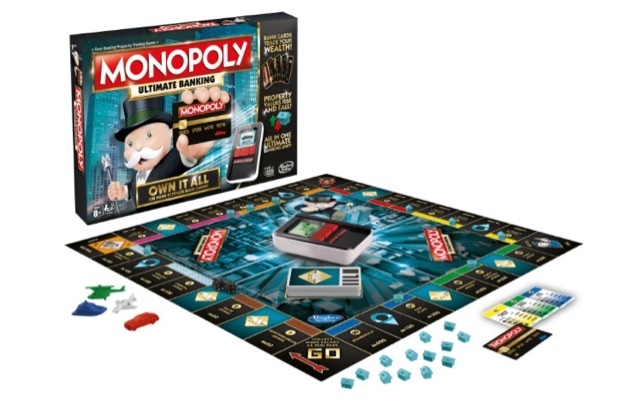 Monopoly Ultimate Banking will hit store shelves later this summer. Newark's chief prosecutor has warned Uber Technologies Inc. that the company's drivers are repeatedly violating the city's taxicab ordinance, and that those operating at Newark Liberty International Airport and Penn Station in Newark will have their cars towed and face fines. "I have instructed our police department effective Feb. 22 to immediately tow Uber drivers operating in and around Newark Airport and Newark Penn Station," wrote Evans C. Anyanwu, the city's chief prosecutor, in a letter sent late last month to Salle Yoo, Uber's general counsel in San Francisco. "After Feb. 22, the continued violation of the city's laws will result in civil and criminal penalties for Uber and its drivers," said the letter, a copy of which was obtained Wednesday by The Record. Uber said Wednesday it is not backing away from that business, and would not advise drivers, who are independent contractors, to avoid those areas. "Instead of trying to restrict competition and consumer choice, Newark should be welcoming the thousands of drivers who use Uber to earn income and support their families," said company spokesman Craig Ewer in an e-mail. "We'll continue to stand by our driver-partners by fully compensating those subject to unjust fines or citations as a result of the city's actions," Ewer said. The app-based car-for-hire service has been operating largely unregulated in New Jersey for a couple of years and says it has about 15,000 independent contractor drivers in the state. Limousine and taxi drivers in Newark and elsewhere in New Jersey complain that Uber drivers are not properly licensed or insured. Uber said it provides $1.5 million in commercial liability insurance for drivers in New Jersey, which is the amount required under a state limousine law. However, the state Department of Banking and Insurance has warned consumers and those who drive for app-based car-for-hire companies that such coverage has not been tested in the courts. TfL agreed to hold a PH regulations consultation. 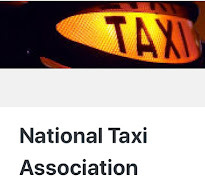 The aim...to stop the escalating amount of circumnavigation of the Private Hire Act 1998. 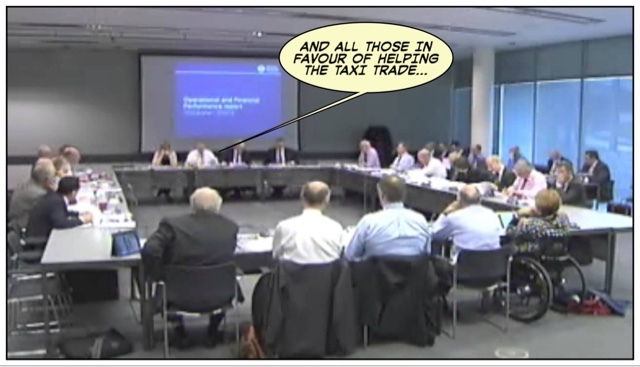 And so, the Taxi trade held its breath (again)...would TfL finally come to its senses? Using logic and common sense, would TfL bring the PH trade back into line with existing regulations? Private Hire companies openly plying for hire through smart phone apps. 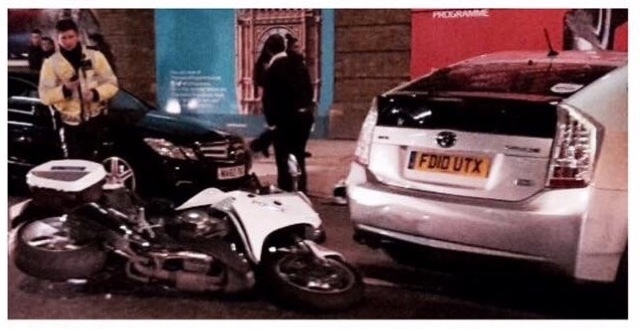 Private Hire drivers flaunting the law concerning Hire and Reward insurance. Private hire vehicles clogging side streets and local businesses car parks around airports and major rail hubs. Drivers defecating in the gardens of residential properties. PH drivers, licensed by TfL in London, accepting jobs while outside of their licensed area. Drivers from outside TfL's licensing area, openly operating in Central London. The preliminary draft of new regs -mostly enforcement of already existing legislation- looked promising. They have now made it clear, their bottle went big time. 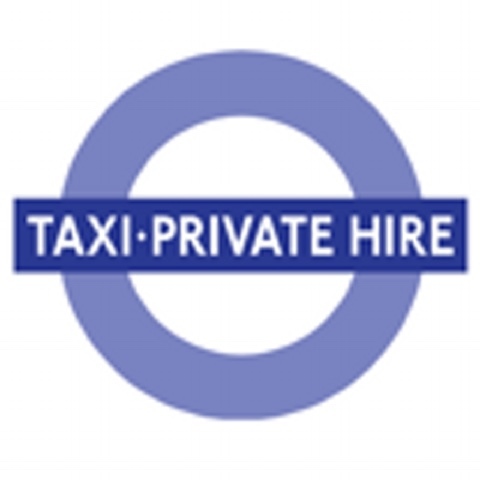 Transport for London (TfL) is carrying out a wide-ranging review of private hire regulations. Detailed proposals were published for consultation in September 2015 and that aspect of the consultation closed on 23 December. On 20 January 2016 we gave a preliminary indication of which proposals we intend to progress. However, decisions on which proposals to be implemented, if any, will be taken by the TfL Board in March. SELLOUT, GUTLESS, SPINELESS, BACKSTABBING, COWARDLY, BIASED, LACKING COURAGE, DEVOID OF FORTITUDE, BROKEN FAITH, MISLEAD, DOUBLE CROSSED, SOLD DOWN THE RIVER. My name is Lee Ward, I am the Chairman of ALPHA, a newly formed association in Sheffield, please read the attached mail I sent to the local MP. I am awaiting a reply still, but I think the industry would like to read it. We apologise for this being a generic letter, but we have to gain the attention of many Members of Parliament for this to be taken notice of. 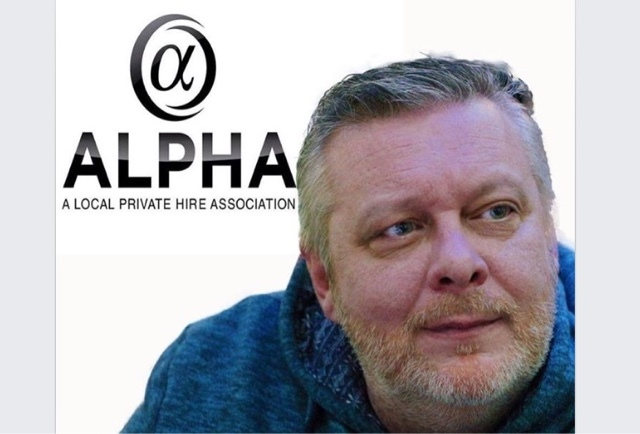 ALPHA represent the Private Hire drivers of the Taxi industry and need to bring the serious issue of the Deregulation Act 2015 to your attention, an act that has desecrated the drivers within this industry. 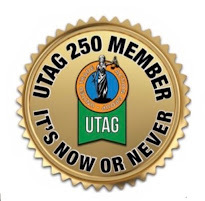 We, and our members feel that this Act was brought in to enable multi billion pound companies at the expense of the hard working and loyal drivers of this industry, to bypass the previous and working bylaws that previously existed under the Town Police Clauses Act 1847 or that Act as amended by the Local Government (Miscellaneous Provisions) Act 1976. One of the first reasons given in the House of Commons is, and yes, every sitting on this Act has been read, and read again, but we will try to keep it to the basics..
Travel patterns, however, are not neatly aligned with district borders. That is why private hire operators are allowed to accept bookings for journeys which go beyond the district or which are wholly outside the district. It is currently prohibited for a licensed operator to subcontract a booking to an operator in a different district. An operator can only subcontract bookings to an operator licensed in the same district. That is clearly restrictive and the Government consider it ripe for reform. The clause will allow a private hire operator licensed outside London—although not based in Plymouth, because of the exception—to subcontract a booking to another operator in a different district or based in London or based in Scotland. That liberalising measure will enable the private hire trade to operate in the way it sees fit, not just in the way that the restrictive legislation dictates. Operators will be able to choose, on a commercial basis, whether to fulfil a particular journey by using their own vehicles and drivers or whether it would be preferable to subcontract the booking to another, more conveniently located operator. There will be positive consequences for the environment, as there will be less dead mileage. To say that this is the first reason to have to make such a huge change to the laws that govern this industry, we must say the reasons are very, for want of a better word, lame. Let us take this opportunity to break this down. New clause 10 allows private hire vehicle operators to subcontract to each other across licensing boundaries. That will allow private hire vehicle operators to work more flexibly and to grow their businesses. Passengers will be able to rely on their local operator, rather than being turned away when the operator cannot directly fulfil the booking. How does a business grow if it is giving its work away, and how does the passenger rely on their local operator, when the operator who has taken the booking given it to another company ? 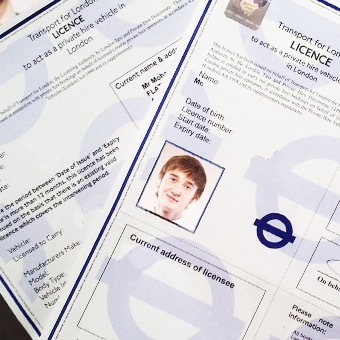 Under the triple licence requirement, private hire operators are licensed within a district and must use only vehicles and drivers licensed by the same local authority as granted their operator licence. It is important that that requirement remains in place for the moment, although we will revisit the whole issue when we consider the Law Commission’s report. If the importance of the vehicle and driver to be licensed by the same Local Authority (LA) as the Operator who took the booking, why has the Deregulation Act 2015 not been halted until the report by the Law Commission is finished, and why change a law to perhaps go back to rethink it dependant on this report by the Law Commission ? So, lets get this bit clear. 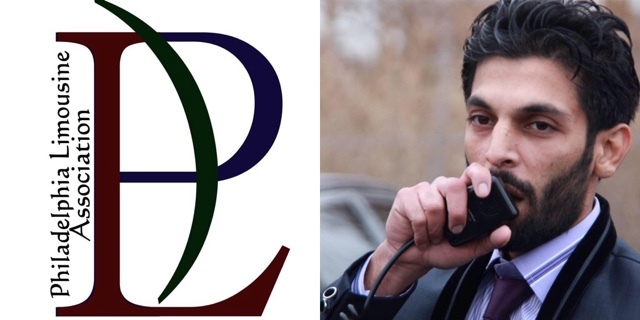 It was legal for a Taxi/Private Hire Company to pick up and drop off outside its licensed borders, as it was also legal for the same company to pick up and drop off outside those same borders, but it was illegal for that operator to subcontract a booking to another company. How was this restrictive and ripe for reform, when it was quite clear that the customer could still book with the original company anyway ? That liberalising measure will enable the private hire trade to operate in the way it sees fit, not just in the way that the restrictive legislation dictates. Sorry, we cannot see what this argument is to be honest. Operators will be able to choose, on a commercial basis, whether to fulfil a particular journey by using their own vehicles and drivers or whether it would be preferable to subcontract the booking to another, more conveniently located operator. There will be positive consequences for the environment, as there will be less dead mileage. Ok, now it gets interesting again, sorry about that. Operators would not choose on a commercial basis, because the journey is either viable for them or not, pretty much the same as a window fitter based in Cornwall would wish to go to Manchester to fit a bedroom window. Its simply not business savvy. Now, what it has allowed, although its worded as ‘subcontract the booking to a more conveniently located operator’ is the ability for Uber to cover any and every job that is booked through its app. 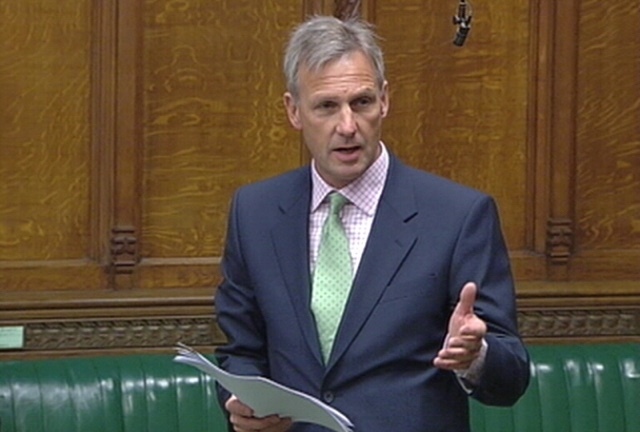 The crux of this matter is the initial argument, as stated in the introduction to this Act in the House of Commons, that it would be a ‘more conveniently located operator’ that actually picked up and dropped this customer off, however, in the real world Uber have drivers from all licensed area’s (outside London) parked up waiting for jobs in any Town or City that Uber hold a License in, then take the app booking which the mainframe computer then looks for the nearest vehicle (due to the Deregulation Act 2015) and sends it to that vehicle regardless of whether a Licensed vehicle from the area that the booking was made happens to be sat waiting for that booking to make that driver a living. Not quite what was made to believe in the argument for this Act to be put through, wouldn’t you agree ? Now, please take into account that this is just the first argument against the first reason given behind the Deregulation Act 2015 I am sure that you can see that this Act is not only unneeded, but unjustifiable. But this Act has however taken a great toll on the drivers of this industry, to a point that they are working longer hours to barely make ends meet, and will therefore rely on benefits to substitute their income. While Uber chose to use an offshore account in the Netherlands to pay the minimum amount into the UK as they can. Now of course, we would never accuse any person in government to not be ‘playing with a straight bat’ But the following facts are rather interesting after the very brief break down of what the Deregulation Act 2015 should have been, what it was and what it actually is. What we do wish, is that you as a Member of Parliament, address this issue and request that this Law (the Deregulation Act 2015) is stopped, reversed or put on hold before it cripples this industry and the hundreds of thousands that work long, hard and unsociable hours serving the community and providing for their families. 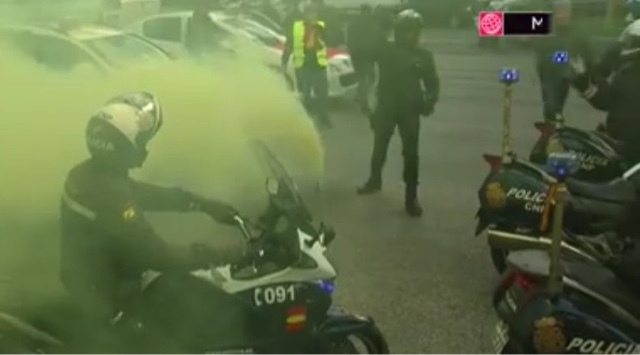 This Act, as we see it was purely for the benefit of Uber, who, as the world wide media constantly reminds us all, are purely for a profit and have no thoughts for the drivers and the conditions that they work. We acknowledge what the media are reporting in London, but this Law that was passed in 2015 has such a widespread impact on this industry, it is almost at the point of pure saturation and families are struggling all over the country because of it. If this was the steel industry which has been hit recently, then the whole country gets to hear about it and thePoliticians act to support it, this time, we ask that the politicians act before the industry and its drivers and families are on its knees.